The Chicago Beer Festival at Union Station has become something of a tradition here at The Hop Review. It's one of the first events we attended together back in it's 2012 and many of the connections we made back then have spawned the interviews you now see throughout our site. The event itself is much the same as it's always been which is, for the most part, a good thing. The cavernous Union Station Great Hall provides a beautiful and spacious setting for the hoards of people who descend on the 65+ breweries in attendance. The event organizers have still yet to address some of our biggest gripes, namely the difficulty in locating a brewery (very little signage and no mobile app) and a truly terrible website that is entirely unhelpful. Despite those complaints, it's a great time and a perfect excuse to schmooze with some of the country's best brewers while sampling beers you've never laid your hands on. The beer really is the star of the show here and, with so many to choose from, it's tough to identify a definitive list. 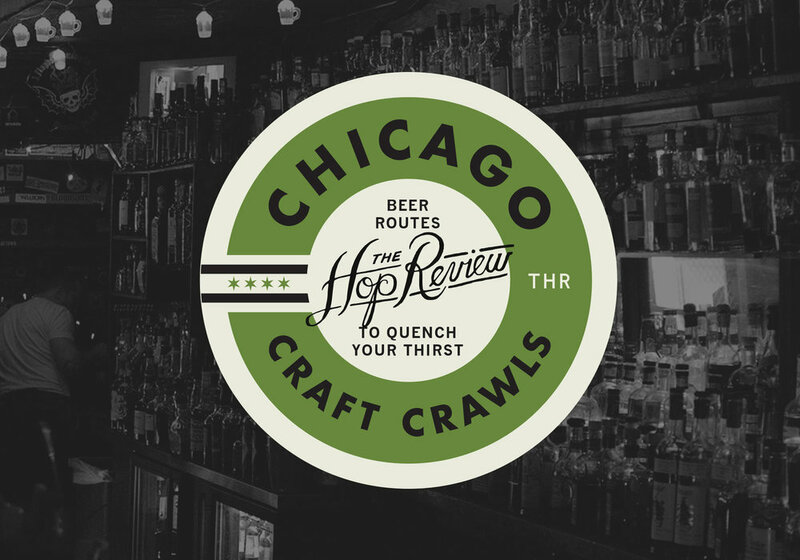 However, we racked our brains (and Untappd history) to bring you The Hop Review's top beers from the 2014 Spring Chicago Beer Festival, in no particular order. Have your own "best of" list that's different to ours? Let us know on Facebook or Twitter. Maybe because it was the first beer we sampled that day but this one just stuck with us. Incredibly easy drinking for such aromatic beer, this one is guaranteed to be a Hop Review summer staple. A delicious coffee milk stout that's reminiscent of your morning cup of Joe. Made with two different Intelligentsia roasts, coffee is the star of this beer. A grapefruit, Belgian style, refreshing hop bomb makes for a great beer. Get these guys out of the corner and away from the bathroom next year! Not the bourbon overload that many barrel aged beers bring to the table, this subtle variation of the regular Kentucky Common is it's own twist on a sour beer. Skull and Bones Double Pale Ale and Honey Badger - Lake Bluff Brewing Co.
Salted Caramel Stout - Pipeworks Brewing Co.
Fore Smoked Stout - Dark Horse Brewing Co.